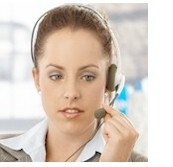 Call Center Training - Telemarketing Training and Call Center Sales Training Directory. Are you looking for call center training? Database Systems Corp. (DSC) provides call center technology and products that can improve the productivity of contact centers. Our call center outsourcing phone system and contact management software can streamline your operation while providing controls and consistency in your call centers. DSC does not provide call center training or consulting services - thus we have created this directory for our clients who wish to use the services of call center training experts. If you are a call center training organization and would like your website included in this directory, please use our Submit Call Center Website form. It's FREE and simple to add your website. The following is a list of organizations that according to their website descriptions provide call center and contact center sales training. Database Systems Corp. is not affiliated with any of these organizations nor does it promote or endorse the products and services of these companies. These websites promote various types of call center consulting services for contact centers, inbound call centers, outbound call centers, help desks, contact centers, etc. Let APRENDA help you build a World-Class Call Center! This is a training program specifically for those employees who are in frequent contact with your customers by telephone or face-to-face. Covers listening and speaking skills; establishing rapport with different customer types; questioning for clarification; service recovery skills; dealing with angry customers and turning service calls into sales opportunities. We develop call center skills-based customer service training and sales training programs designed to change behavior and improve performance in employees. Our e-learning development team would be pleased to work with you to create e-learning options for your call center organization. Contact us to see how we can add value to your business. Customer Focus' one-day customer service training and call center training builds customer loyalty and satisfaction through quality service skills training. Customer Focus is used by customer-centered companies like IBM.com, Dell, Verizon Wireless, and Edward Jones, to build customer-focused employees and implement customer loyalty programs. The Florida Corporate Training Center is based in Plantation, Florida. We serve our clients through training courses we offer here at home . Primarily, however, we travel to our clients' locations to conduct training there. Most clients are scattered throughout the world and it usually makes more sense to go them their locations. Companies are spending billions of dollars on CRM technology, while losing millions on 30% to 40% Call Center turnover. ISI eLearning is exclusively focused on Call Center Training. 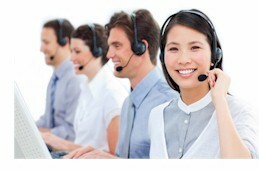 Our goal is to help your Call Center support and retain your customers, while optimizing revenue opportunities. Call Center Training from ISI is designed to improve customer satisfaction, increase sales revenue, raise collection rates and help to challenge and retain your best people. You can start immediately, without leaving your desk. Customer Service Training, Development of Customized In-house Agent Training based on Contact Process Mapping of existing and our recommended redesigned process handling. Mitre Peak's Consulting Services organization has a global reach and consists of industry experienced professionals that have years of experience in deploying Enterprise Software Solutions. Our project methodology is based on capturing best practices that focus on achieving client's business objectives. Our consulting staff engages in the entire solution selling life-cycle (including pre-sales) to get a thorough understanding of client requirements. For our existing clients, we provide optimization consulting to allow them to extend the use of the Mitre Peak solution for enhanced business objectives. Phone Pro has been helping call centers and companies make every call count with onsite, customized training programs since 1985. You'll find we have the most knowledgeable, energetic and inspiring trainers in the business, along with proven techniques that will help your employees enjoy their jobs and relate more effectively to customers or prospects on the very next call. Put all of this together, and we'll put an end to the notion that learning has to be dull. We'll show you in a fun, exciting and easy way how to put every call on the right track. Welcome to PhonePro.com - It's the end of the boring training program! Designed on a consultative selling process that focuses on the gathering of relevant information to fill customer needs via company-provided products and solutions, our three-day Call Center Sales Training program provides essential sales skills and time-tested methodologies to drive sales for call center employees. Our seminars focus on two primary areas that will make a difference for your company- customer service and leadership. Our seminars were developed and are led by Tim Nelson. Tim is a graduate leadership professor, well-known speaker, and 30-year customer service veteran who understands your situation because he has lived it. Telephone Doctor� Customer Service Training offers products and services which improve the way your organization communicates with your customers. We specialize in supplying proven service skills and techniques which translate into higher revenue, lower customer turnover and reduced stress on your customer contact team members. The Call Center School is a Nashville, Tennessee based company that provides a full range of call center education solutions. Our mission is to equip call center professionals with the knowledge, skills, and abilities necessary for successful performance on the job. To foster this professional development, The Call Center School provides standard educational programs on a variety of call center topics, customized education programs for call centers and industry vendors, and general call center consulting. DSC has been providing Customer Relationship Management (CRM) software to businesses and organizations for 2 decades. This CRM application is employed in a wide variety of organizations including call center outsourcing companies, help desks, customer service centers, service bureaus, reservation centers and corporate call centers. Our call center phone system is both an autodialer and answering system that handles inbound and outbound calls for a wide range of call centers. Calls are either initiated by the phone system or accepted from the outside and distributed in an intelligent fashion to service representatives using our award winning ACD and IVR software.